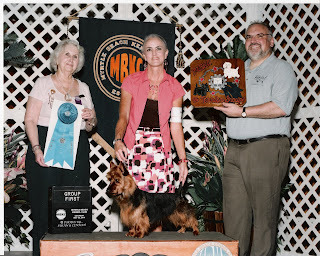 Ch Benayr Clay Tucker wins Group 1 at Myrtle Beach KC! Congratulations to owner/handler Lisa Weaver for this amazing win! Tucker adds to his Group placements this year with the ultimate achievement, a group one win. 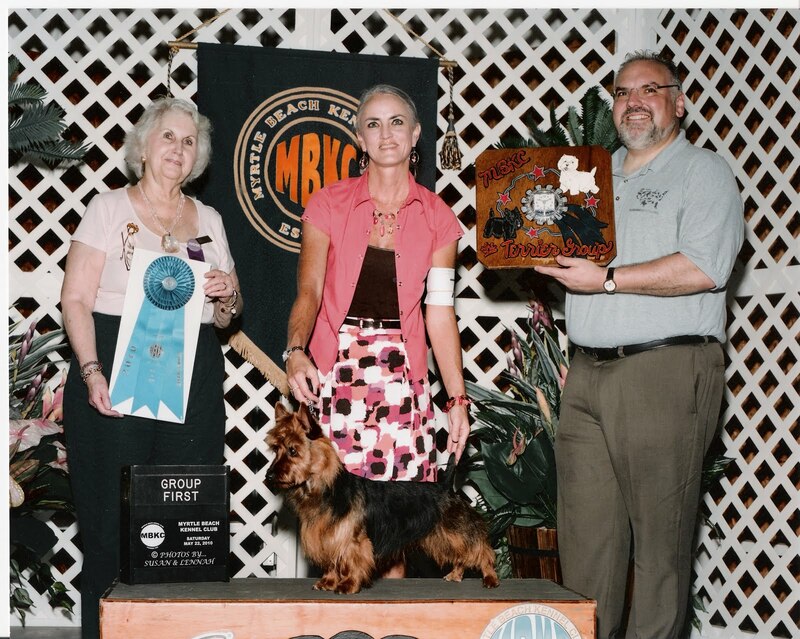 Lisa started with him as a young puppy and has brought him along from the beginning as her first Aussie show dog. 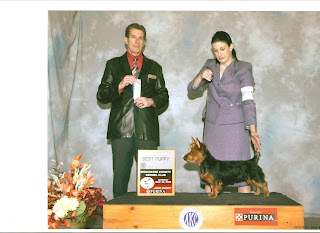 Congratulations, Lisa, on your effort in learning the breed ring from the ground up. I am very proud of Lisa' accomplishments and, as always, love to help new people get started in this great breed. 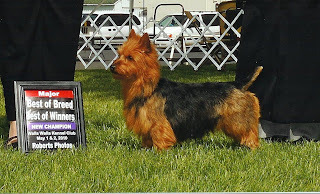 Ch Benayr Rightly So at Walla Walla KC! New Champion Benayr Rightly So!!! We are so proud of Sophie for finishing her championship in grand style going Best of Breed and Group 4 at Walla Walla KC, under noted judge Patricia Trotter. Introducing the bright new star, Benayr Rightly So. She's just embarking on her show career and will be seriously campaigned this spring. She now sports 5 points, with one major. A specials career could be in her future. We are very excited about her prospects!! FLASH!! Sophie adds her second major at the No. 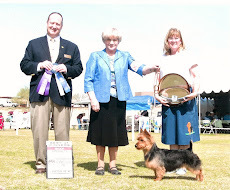 Calif. Terrier Assn. show on April 15th, going WB, BW, BOS at this nice entry. Congratulations to Lisa Violette for finishing the championship of Maddie in December. 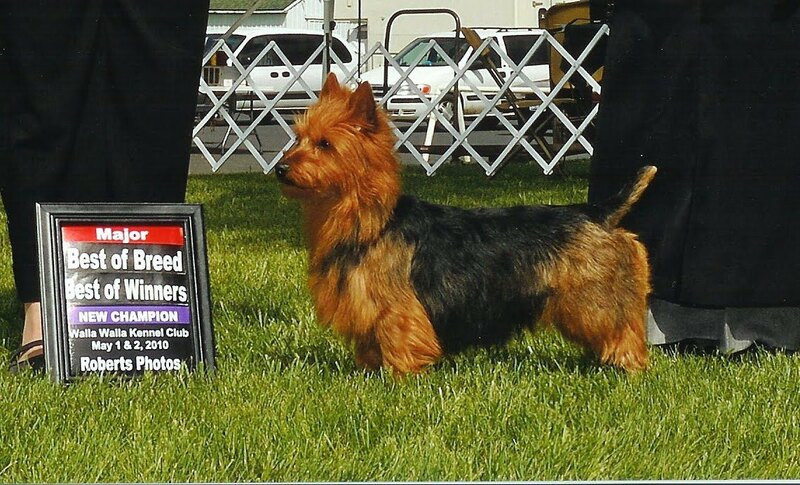 Maddie is one of Ch Tanamier's Jonny Be Goods kids and is one of his five new champions in 2009! Jonny is leading Aussies sire for 2009! Yeah Jonny!! Our wonderful Norwegian import, Ch Tanamier's Jonny Be Good has 5 new champions in 2009, bringing his total to 15 AKC champions. Our thanks to Anne Marie in Norway for allowing us to import this great little dog.